Welcome to the Speaker Sisterhood’s Tiny Book Club! HomeThe Secret Life of Speaking Up Prequel: 30 Tiny Speaking AdventuresWelcome to the Speaker Sisterhood’s Tiny Book Club! Thank you for your order! We are preparing your tiny book club in a box for shipment. If you haven’t already, please review our First Steps for Setting Up Your Tiny Book Club and bookmark this page for future reference. All tiny book club leaders and members are invited to our monthly LIVE, online 60-minute Q&A sessions with Angela Lussier! This is an opportunity to talk about what you’re learning in the book, and ask Angela any questions that pop up along the way. Live Q&A’s with Angela Lussier will be held on the 3rd Wednesday of each month from 12-1pm (EST) beginning May 16th. 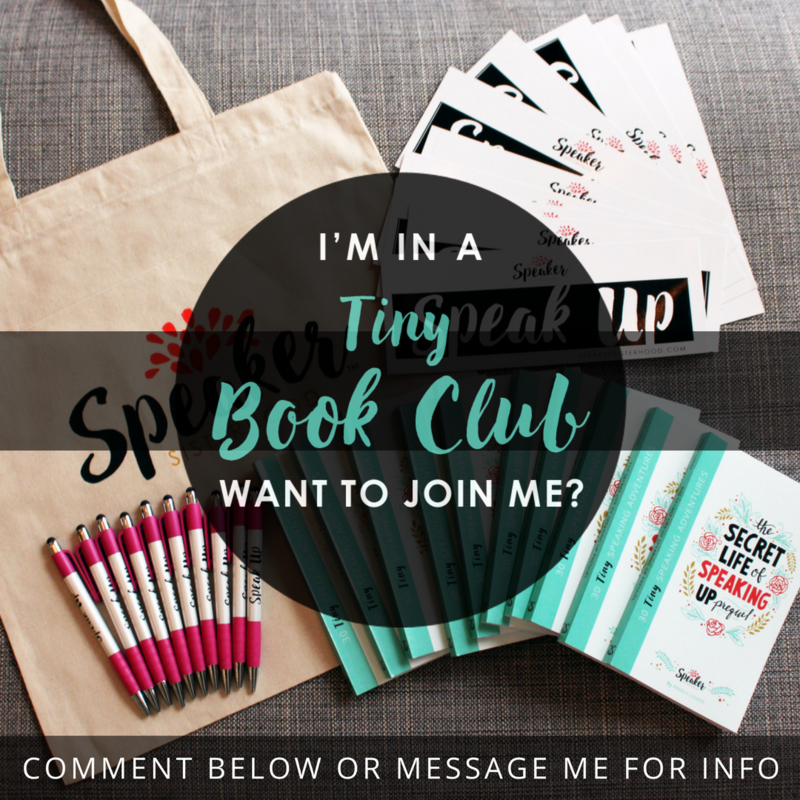 Let your friends know you’re launching a tiny book club! “The Secret Life of Speaking Up Prequel: 30 Tiny Speaking Adventures” — by Angela Lussier, award-winning speaker, five-time author, two-time TEDx presenter and Speaker Sisterhood CEO and founder — will help women see that they do have a voice, that their voice matters and using it is empowering. 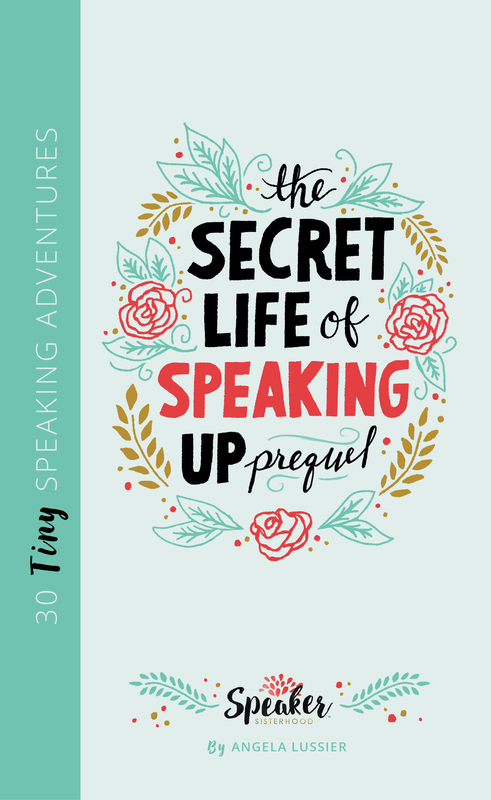 In this tiny pocket book, you’ll learn how to build courage, gain confidence in yourself and even look forward to speaking up through 30 tiny speaking adventures. The tiny speaking adventures help readers learn new skills through writing, speaking and sharing in new ways. Practice the steps to express yourself with authenticity and discover how much power you really possess. Who knows, you might just surprise yourself. This book is highly experiential and empowering when done in a supportive group, and that’s why I’m starting a tiny book club! This book is highly experiential and empowering when done in a supportive group, and that’s why I’m starting a tiny book club!